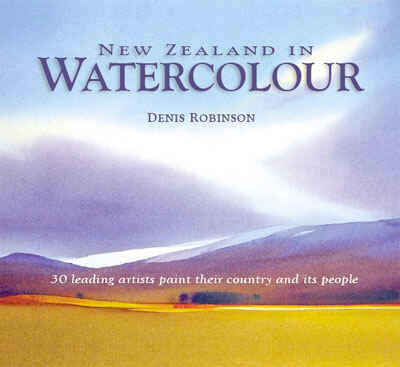 is one of N.Z.ís foremost representational watercolourists. 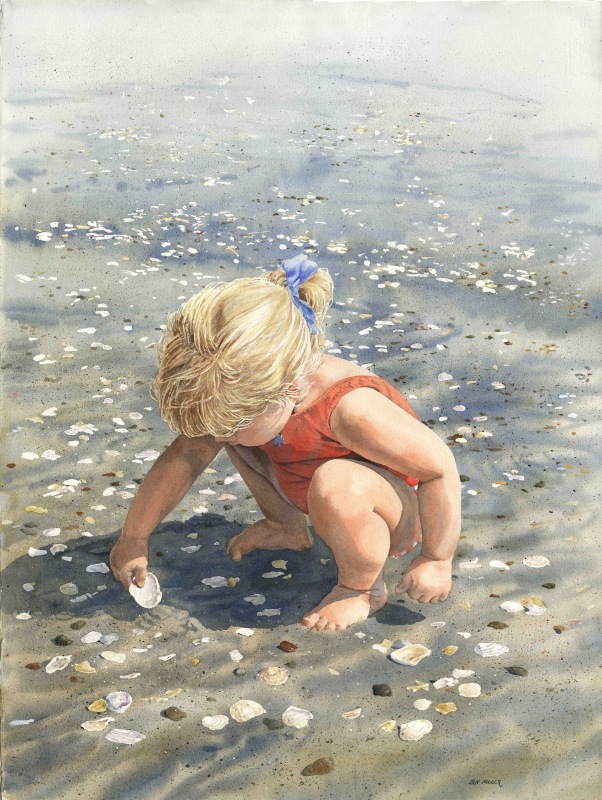 She paints in acrylics using a watercolour technique, which allows her to achieve the detailed work she enjoys, while still enabling her to do the traditional wet-into-wet of water colours. 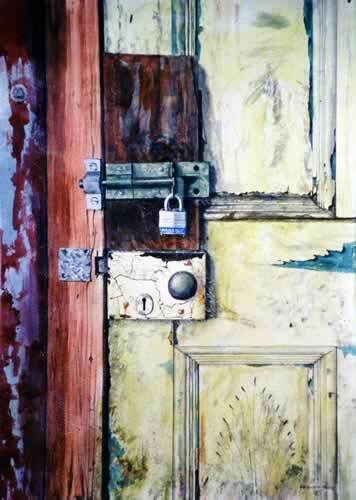 Her subject matter is wide ranging: gardens, florals, child and life studies, old homesteads, and rural memorabilia. weathered wood, brickwork, rusty tracks from now deserted train stations all inspire her; reflecting a love of unpretentious familiar images. Jan has generously shared her skills, tutoring adult art. She is a popular and sought-after tutor for her 2-day painting workshops and demonstrations around the country, and also enjoys travelling to judge local art awards. Her works are exhibited and hung in collections throughout New Zealand and overseas. For four years, along with several other N.Z. 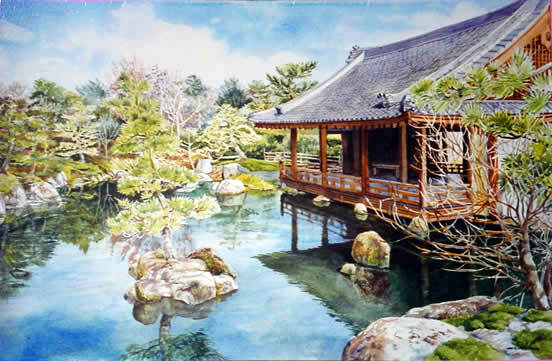 artists, Jan represented New Zealand at the Asian Pacific watercolour exhibition in Taiwan. She is an elected artist member of the New Zealand Academy of Fine Arts. and Save the Children Fund have selected designs for their cards or calendars worldwide. Rights to reproduce her paintings have been acquired by a number of companies and a wide range of images used for cards. Three images were reproduced to help fund the restoration of Bishop Court Garden in Auckland. The Hamilton Gardens reproduced six commissioned works of the city's theme gardens. 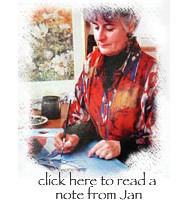 Jan's paintings have been used for book covers, and in October 1997, she was one of the first N.Z. artists to feature in the very popular Australian Artist magazine. Part of the article was recently reprinted. In 2009 Jan featured in the popular book New Zealand in Watercolour. A stunning collection of the works by 30 of New Zealand’s leading contemporary watercolour artists, painting their country and its people. ... with commentaries and captions from the artists give the reader an insight into what attracted them to each subject, how they tackled the painting and their feelings on the completed works.